Pantone colors are the universal language for communicating specific colors right down to the shade. This language overcomes distances and computer monitors with different calibrations. If both parties involved in a project are looking at a Pantone book, referencing the exact number, both parties can rest assured that they are on the same page. Brand guidelines define specific colors of logos in terms of Pantones. Designers call out Pantone colors in their work so the image can be re-created exactly from digital media to print and embroidery. As decorators, we live and die by Pantone colors. However, the language of Pantone colors translates a little differently between screen print and embroidery - like a different dialect between the mediums of decoration. Let’s look at why and what this means for the logo or design you are having screen printed or embroidered. Thread manufacturing companies have companion books that gives us a quick reference of all colors available and their corresponding Pantone color. 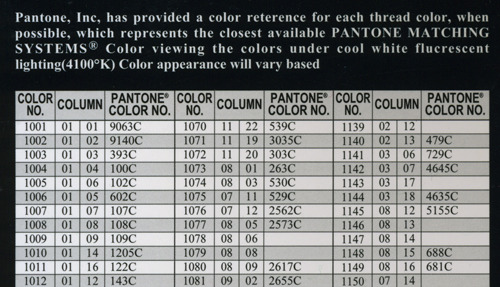 You’ll notice on the picture of the Pantone book there is a finite number of thread color created by the manufacturer. You’ll also notice from the snippet of the full thread chart, not all thread colors have a Pantone match assigned. The snippet of the thread chart includes a disclaimer that Pantone colors represent the closest available thread color, and is most accurate when viewing the colors under cool white fluerescent lighting (4100 degrees Kelvin). 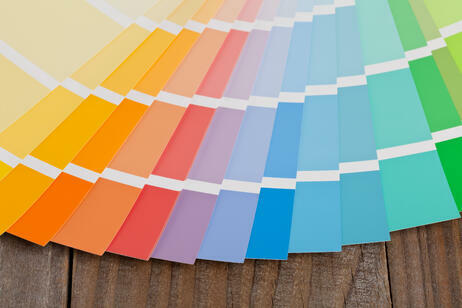 The thread color may not match the corresponding Pantone color under every lighting condition. Another consideration to make is that not every color in the thread may be available. 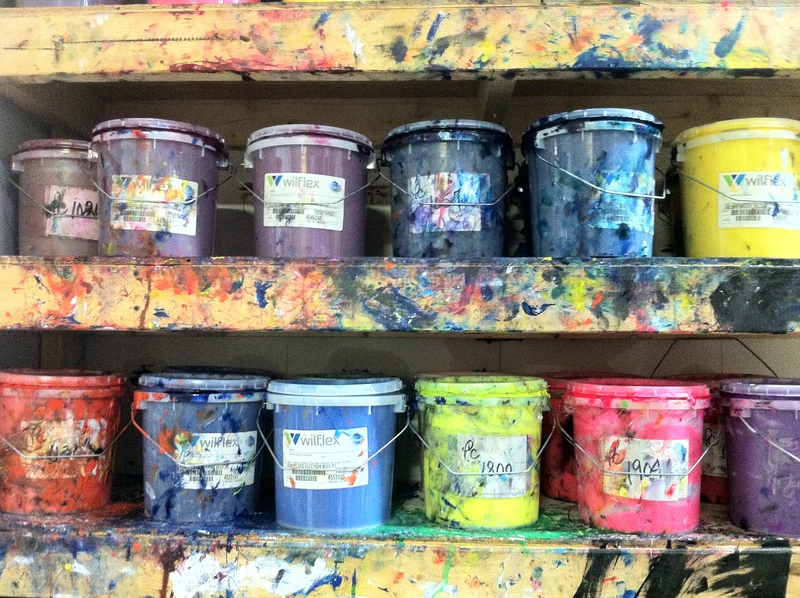 You see, it’s not simply a matter of having one spool of each color. Embroidery houses frequently stock the most common colors only. This ensures that a color won’t run out because the spool is low and the embroidery manufacturer can pass on volume thread purchase discounts to you. On top of specific colors, embroidery shops may stock both rayon and polyester thread by several different manufacturers so the absolute best quality can be achieved based on the color, fabric, and/or garment you wish to have customized. Stick with the closest match. A slight difference might only be noticed if you put a Pantone book up against the sewn logo and who carries around a Pantone book. Also remember that the logo colors may look different depending on the lighting in the environment anyway. You can provide the thread. Embroidery houses do carry the most common colors, so if yours is a little more unique, inquire if you can provide the thread. Your decorator can let you know how much and where to purchase the thread. The thread is then yours for each and every time you place a custom order. You can take the thread from shop to shop if the decorators are willing to accommodate. Ask if your decorator can provide the thread. If you will be running a consistent, large program it may be easiest for every one if the shop simply acquires a new color. For more information on this, you may want to read over this free download guide that goes into more detail about screen printing inks and Pantone colors.